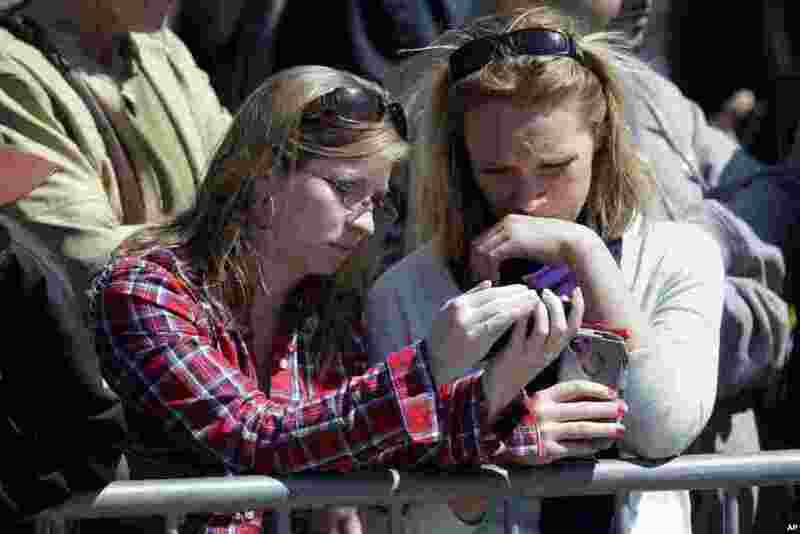 1 Nursing students Katie Robinson, left, and Megan Beach listen to a broadcast on their phones outside an interfaith service attended by President Barack Obama at the Cathedral of the Holy Cross, held in the wake of Boston Marathon explosions. 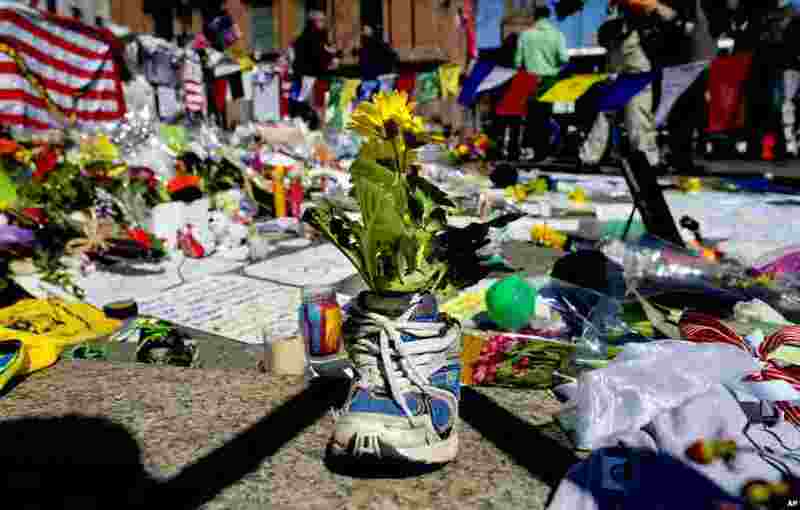 2 A memento of flowers in a running shoe rests at a makeshift memorial in Boston's Back Bay neighborhood, April 18, 2013, a few blocks from the finish line of the Boston Marathon. 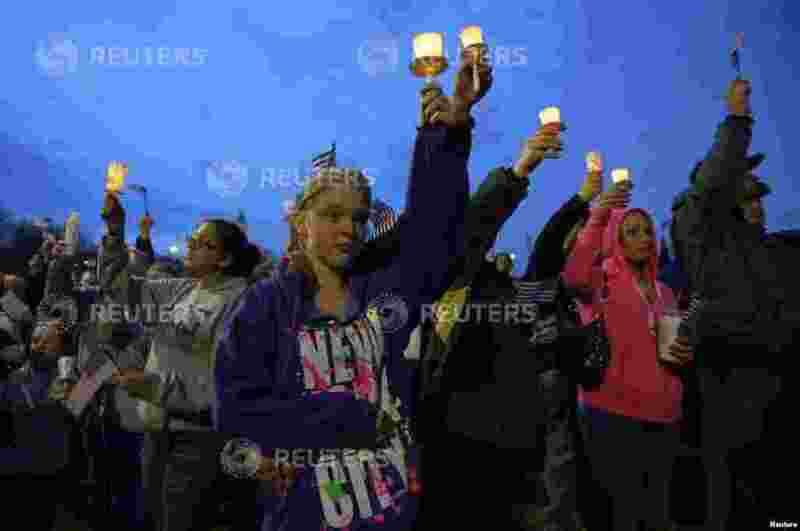 3 Local residents attend a candlelight vigil in the Dorchester neighborhood of Boston, Massachusetts, April 16, 2013, where eight-year-old victim Martin Richard lived. 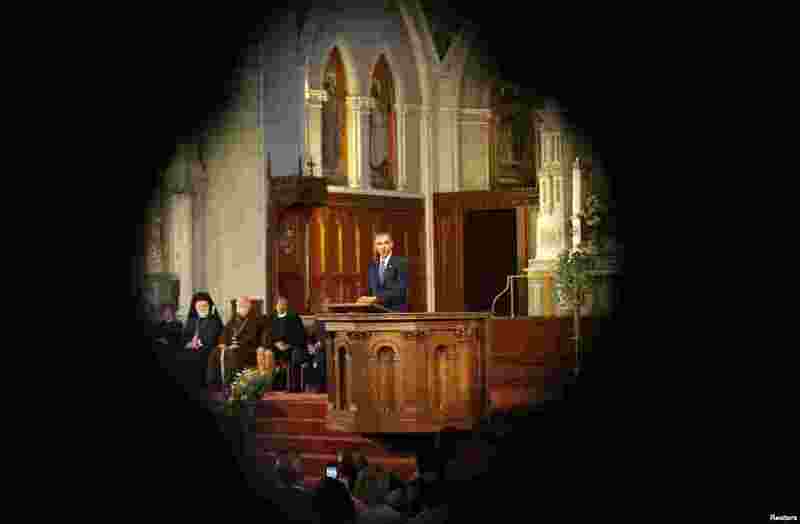 4 U.S. President Barack Obama speaks at an interfaith memorial service for the victims of the bombing at the Boston Marathon at the Cathedral of the Holy Cross in Boston, Massachusetts, April 18, 2013.